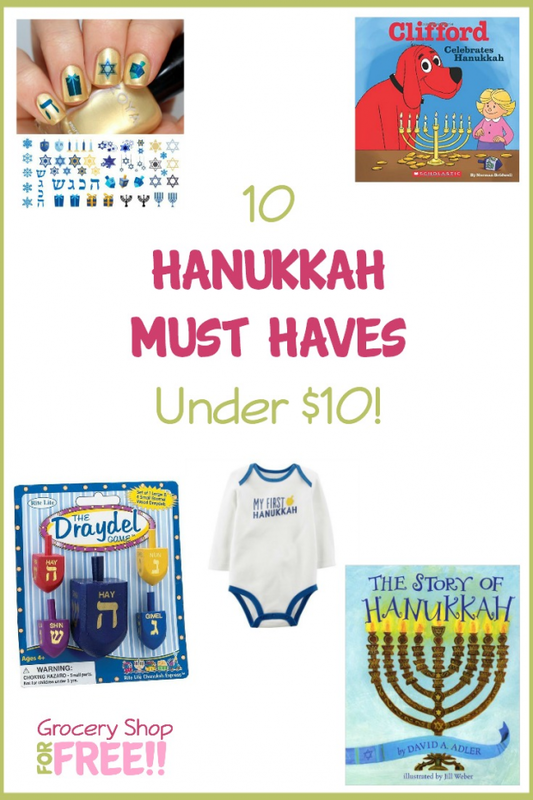 10 Hanukkah Must Haves under $10! You are here: Home / Great Deals / Amazon Deals / 10 Hanukkah Must Haves under $10! 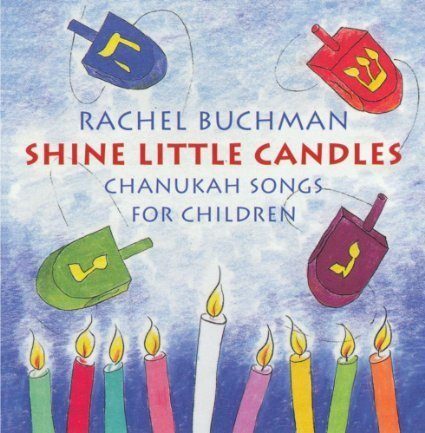 Hanukkah is the Jewish Festival of Lights and it remembers the rededication of the second Jewish Temple in Jerusalem. Here is a list of items to help you and your friends celebrate! 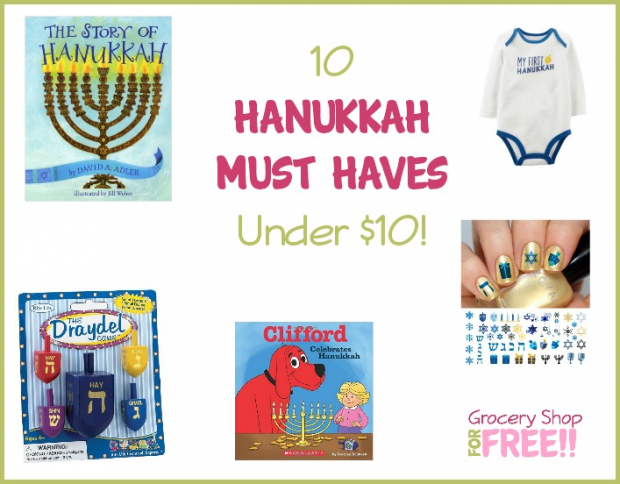 Check out 10 Hanukkah Must Haves under $10! 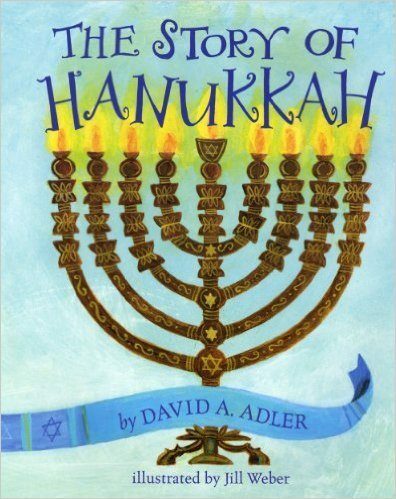 The Story of Hanukkah –No celebration of Hanukkah would be complete without recounting the events of more than two thousand years ago that the holiday commemorates. In a simple yet dramatic text and vibrant paintings, the story of the courageous Maccabees and the miracle that took place in the Temple in Jerusalem is retold. 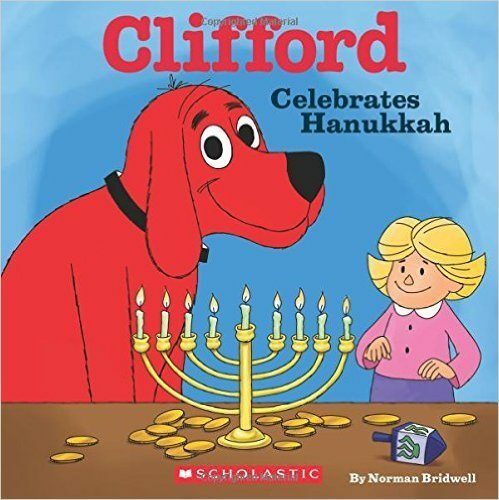 Clifford Celebrates Hanukkah – Clifford and Emily Elizabeth are celebrating their first Hanukkah. They love hearing the story of Hanukkah, eating “latkes” (fried potato pancakes) and “sufganiyot” (fried jelly donuts), and playing dreidel. 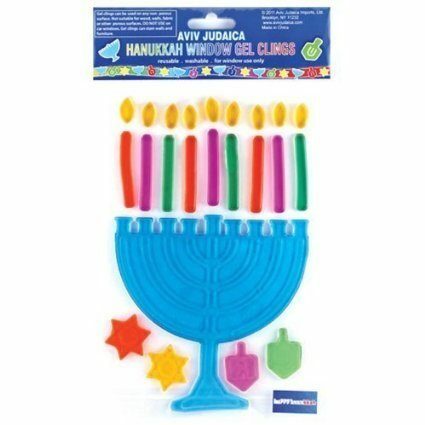 Hanukkah Window Gel Clings – Decorate from the inside out! 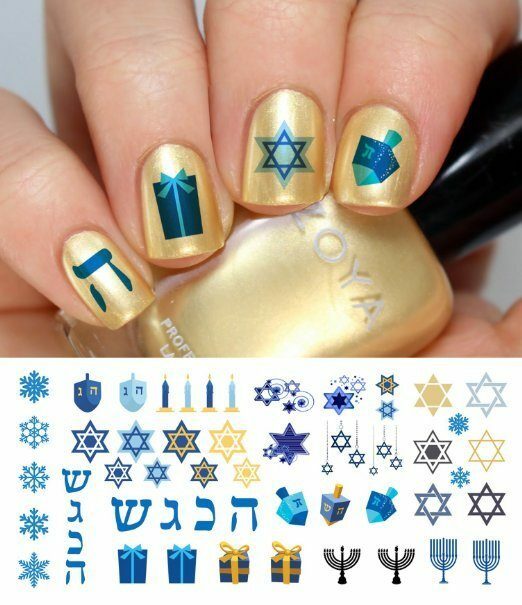 Holiday Assortment Nail Art Decals – These are so festive! 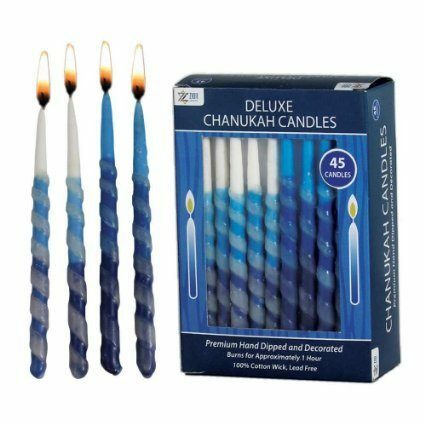 Hanukkah Handmade Dripless Candles – Burns clean and bright for at least an hour! 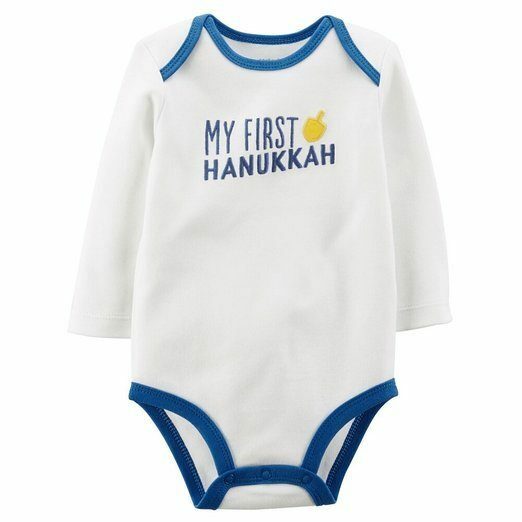 Carter’s Longsleeve 1st Hanukkah Onesie – Get everyone in the spirit! 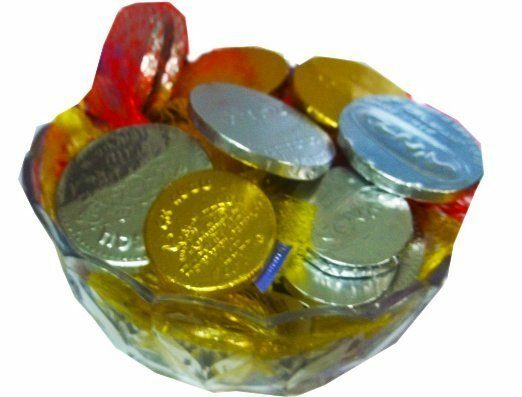 Hanukkah Chocolate Gelt Coins – 10 bags, 3 coins per bag! 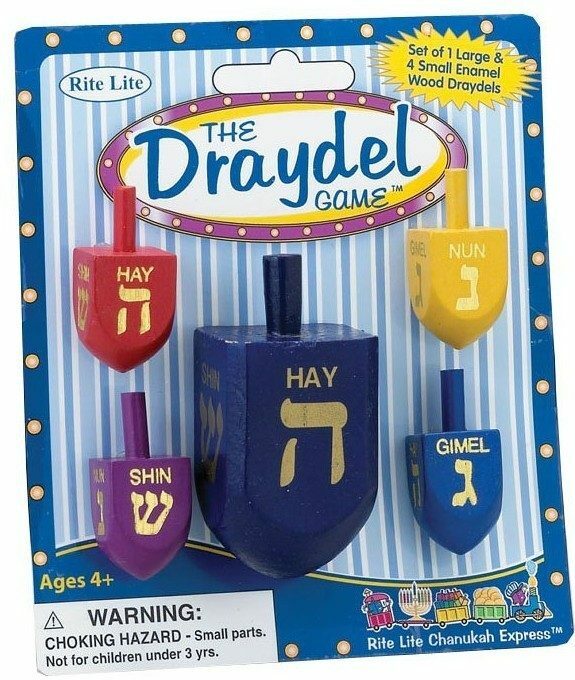 Judaica Draydel Game – Enamel Wood Draydels. 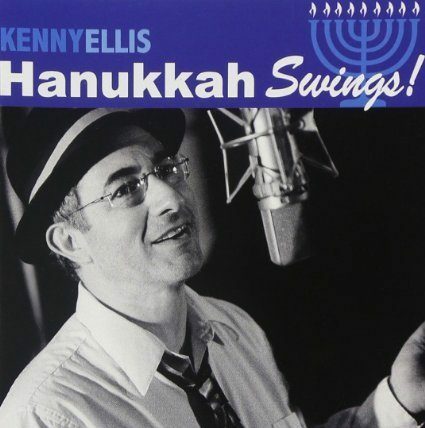 Hannukah Swings – By Kenny Ellis! Celebrate the holiday with all the joy you hold dear!